Looking to rent a private passenger van? Rentalorry provides cheap and affordable rental services for all rental periods. Rentalorry provides private van transportation services for short term and long term periods. Our drivers are well-trained and experienced. 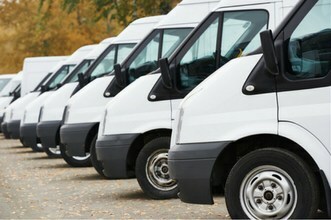 Using a personal private van rental service is the optimum solution for making different types of deliveries. Whether it is transporting cargo boxes or passengers, our private vans cover almost every type of vehicle available for personal or corporate use. At Rentalorry, we provide efficient and helpful drivers if you require someone to handle the vehicle. We rented a private passenger van a few weeks ago. The vehicle was very clean and new. Our VIP guest had no problems with the van and the driver was very helpful as well. Brought my family to Singapore during the summer. We visited the zoo and Sentosa and the driver was very helpful in bringing us to the tourist places as well as showing us local eating areas. Would recommend Rentalorry to my family members who are coming in December. We need a wheelchair van to transport some handicap passengers. Charlotte was very friendly and helpful and really helped us plan all the transport so that our passengers could travel in comfort. Why Hire A Private Van? A private van allows you to travel from one place to another with your goods or passengers as and when you like. Short term or long term van rental allows you to have the flexibility of transporting your goods anytime and at your own convenience. Hire a driver and maximize your time by saving the trouble of driving on your own. You can even save extra time without having to collect and return the van yourself. At a flat rate, you are able to make as many trips as possible without having to worry about the cost. This feels like a “buffet” of delivery services where no extra charge will be given even if you make 100 trips with the van you rented. Compared to “a-la-carte” courier services, renting a private van is cost efficient and saves you money if several trips have to be made within a day, a week, a month or even a year! 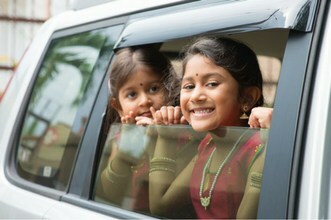 For transportation of passengers, carpooling allows all passengers on board to save fuel and toll cost by dividing the cost among themselves. You can also remove the burden of paying for vehicle insurance and road tax when you rent a private van with us. These costs will be covered by our partners so you can literally end your worry! Be prepared to embrace the extra leg space from a private van rental. With that extra room, extra equipment can be stored with passengers on board. If you are renting it for a vacation in Singapore, a private van acts like your mini portable house where you can travel with your luggage as well as family on board. In addition, the air conditioned vehicle just makes it better for your holiday trip in our summer country! To avoid unpleasant surprises for our customers, quotes provided from Rentalorry are net prices with no extra or hidden cost! In other words, all prices quoted includes GST and road tax. Fuel will be given on the day of rental so you will not start your rental with an empty tank! If you also want to reduce the hassle of not having to top up the fuel after use, we also have one way rentals that allow you to do so. At Rentalorry, we tie up with some of Singapore’s top commercial vehicle suppliers so that we can compare and provide our clients with the lowest price possible. Should you require a driver for delivery services from private van rental, Rentalorry has drivers years of experience under their belt. If you are on a holiday trip, feel free to ask our drivers for places to explore in Singapore. Our drivers are more than happy to help!